Blackboard is committed to working with institutions to create inclusive educational experiences for all learners. That’s why today, we’re excited to officially launch Blackboard Ally, a new product that focuses on making digital course content more accessible. How does Blackboard Ally work? It integrates closely with the learning management system (LMS) and automatically runs course materials through an accessibility checklist that looks for common accessibility issues based on the WCAG 2.0 standard. Ally generates a range of more accessible alternatives for the instructor’s original content including Semantic HTML, audio, ePub, and electronic braille. It provides educators with guidance on how to improve the accessibility of their course materials, while also supplying reporting on the current state of content accessibility at both the course and institutional level. Accessibility is an important priority at many institutions today. Institutional accessibility policies are becoming the norm and accessibility is starting to play a more important role in procurement processes. Conversations around digital accessibility at institutions are frequently focused on either the accessibility of (public) institutional websites, or the accessibility of the systems students and instructors use. 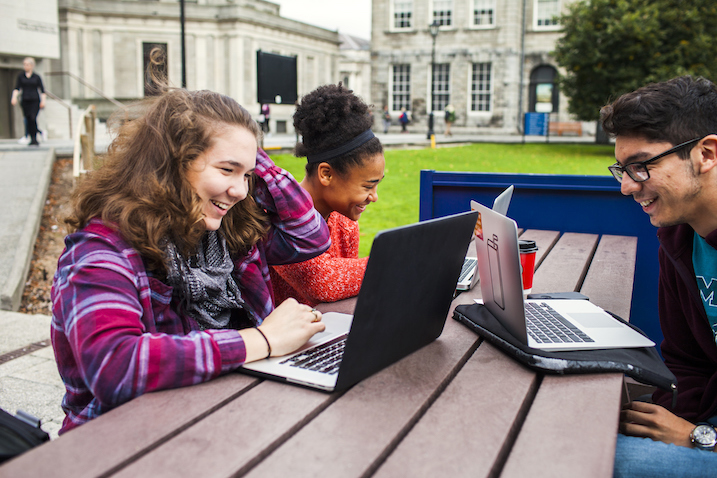 Accessibility of digital course content, which is ultimately the most important content for a student, is traditionally an even more significant challenge for institutions for a multitude of reasons. Not only is there lots of it, but new course content is being created continuously by a wide range of instructors and other content creators. There’s also a wide variety of different content types, and all of this usually resides in a password-protected environment like the LMS. Blackboard Ally allows you to download alternative accessible versions of content. Because of these challenges, there is currently not much data available that provides insight into the extent of the course content accessibility problem. One of the benefits of Ally is that it has given us the opportunity to gather some of these unique insights. Using Ally to scan course content inside the Learning Management System for accessibility issues, we were able to look across a range of institutions to understand the current state of play and recent trends in the accessibility of course content. For this analysis, we examined 5 years of anonymized data, spanning 21 million course content items across 700,000 courses at North American higher education institutions. Interestingly enough, the two most common content types (constituting over 50% of all content) have inherent accessibility challenges. For example, images require an alternative textual description to be perceivable by students with visual impairments, while PDFs are a print format that require additional accessibility tagging to be made accessible. Screen readers are unable to convert an image into words, even if the image only consists of text, so people with screen readers or other assistive devices will not be able to read scanned documents. Scanned documents, especially those of poor quality or containing handwriting, can be difficult to read for everyone. They also have other general usability issues, such as not being able to search inside the document. Overall, there has been a small reduction in the number of scanned documents. Some institutions show a significant improvement over the last five years, while others have declined. For those that have improved significantly, this can often be connected to institutional initiatives and training aimed at improving this problem. PDF tags are hidden labels that clarify the structure of the document and define what’s a heading, paragraph, table, list, etc. Without these tags, PDF documents can be hard to navigate and understand for people with screen readers or other assistive devices. This is the accessibility issue that has improved the most over the last 5 years, with authoring tools such as Microsoft Word and Powerpoint making it easier to create tagged PDFs and publishers increasingly producing tagged PDFs contributing to this improvement. However, almost 45% of all PDFs are still untagged. Over the last 5 years, we have seen a very slight decrease in the number of images that don’t have a textual alternative. However, the vast majority of images still do not have an alternative description. Over the last 5 years, we have seen an increase in the number of documents that contain text with low contrast between the text and its background. This can cause the text to be difficult to read, especially for those with low vision, poor eyesight or color blindness. A contributing factor in this negative trend is that documents have become more complex in nature over this period of time, and it has become easier to apply advanced formatting options. A logical heading structure is important, especially in longer documents, as it provides helpful structure for all students. Headings are also a critical accessibility feature, as they allow a student with a screen reader to more effectively navigate and read a document. Over the last five years, we have not seen a significant change in the number of documents that don’t have an appropriate heading structure. This shows that there has been a slight overall improvement in course content accessibility in the last five years and things are trending in the right direction. However, progress has been slow and the average accessibility score is still very low. While institutional training and other initiatives show a correlation with overall improvement, there is still a long way to go. We believe that there is a need for additional tools to help accelerate the rate of improvement, and Blackboard Ally is committed to playing a role in this by providing easier access to alternative accessible formats, increasing awareness around accessibility with instructors and helping them make more accessible materials, as well as providing insight to institutions to help them track all of this more closely. We’re proud to be able to launch Ally and release the results of this campus data analysis on Global Accessibility Awareness Day (GAAD). The purpose of GAAD is to encourage the design, development, usability, and related communities to think, talk and learn about access and inclusion for all learners. As part of our commitment to accessibility, Blackboard recently led a series of webinars that brought together leading academics and accessibility experts to share best practices and dialogue on how to make online education more accessible for all learners. Learn more about Blackboard Ally.